I love my plants! I don't know what exactly made me become such a green thumb. But I've been bitten by the gardening bug and I'm not looking back! I have quite a few plants in the house and outside in the courtyard. It would kind of take a while to photograph and talk about all of them. So I've picked my five favourite indoor ones today to show you and talk a bit about! I definitely mostly killed my first one of these. I'm not exactly sure what it was that I did, not enough light, not enough water?? But the leaves started to turn brown and just fall off. These dwarf plants will only grow to be a maximum of 60cm tall. Their non dwarf counterparts though can grow to 25 metres! Woah. I love the big and kind of wiggly looking leaves. One day when I live in a bigger house, and have money, I'll upgrade to a larger one. This guy is giant! 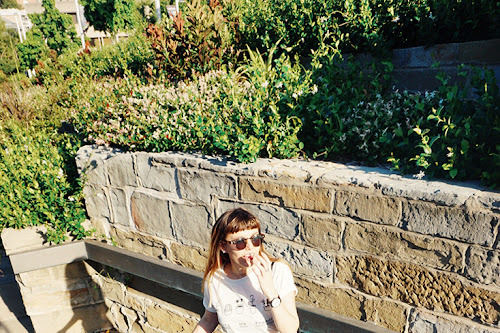 I asked Sophie from High Swan Dive for a Prickly Pear Cactus, and I had no idea what I was getting into. Worth every penny, I was originally going to put him outside but he's living inside for now. 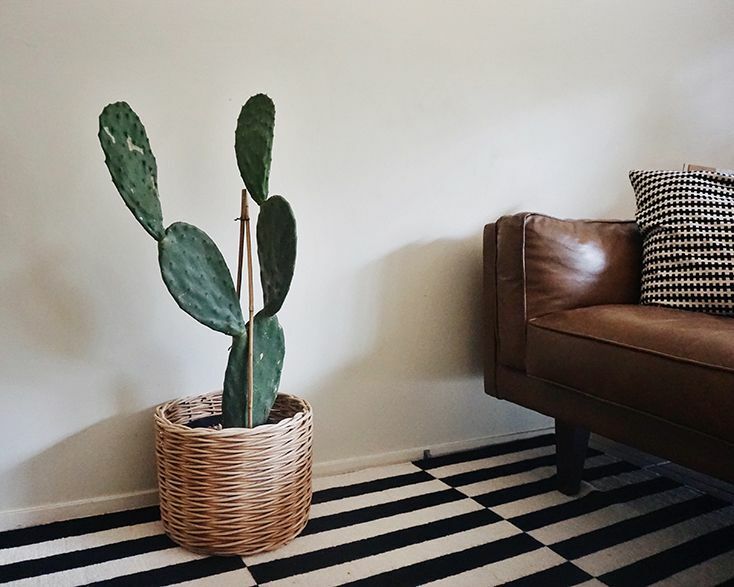 Prickly pears are generally counted as a noxious weed, but they're not an issue if you keep them in pots and don't plant them in the ground. The newer pads up the top have squishy kind of thorns, that start to move out of the way, and let tiny spines grow through. The lower pads don't have any spikes at all. But look like they use to. A new leaf in the middle is about to open! 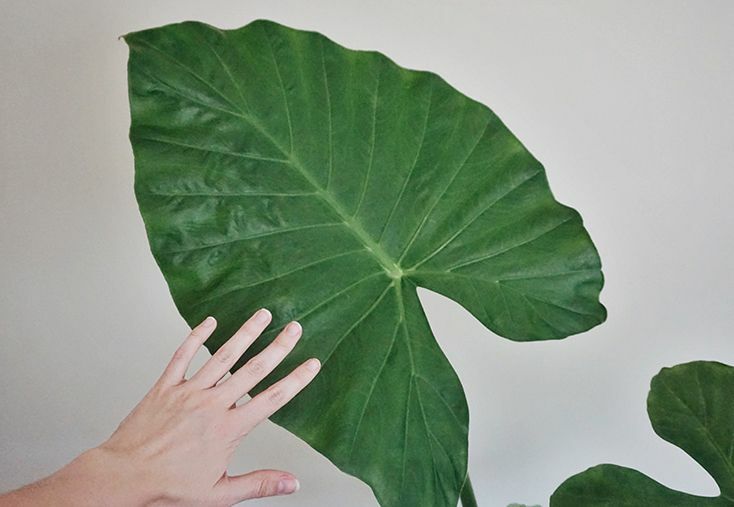 Actually regular sized leaves, I just have tiny hands. One of my very first plant purchases. I'm a big fan of leafy plants! The bigger the leaf the better! I'm so glad I've managed to revive this one after it went very dormant for a while. After doing some research I'm pretty sure I wasn't watering him enough, as they like to be quite moist. I have a little froggy self watering device in there right now which is quite handy. I was given a mini elephant ear for Christmas as a work secret santa and It's also doing quite well. I'm not 100% sure what this plant is exactly, maybe the Borsigiana variety of Monstera. I have an actual Monstera Deliciosa outside, otherwise known as the Fruit Salad Plant. 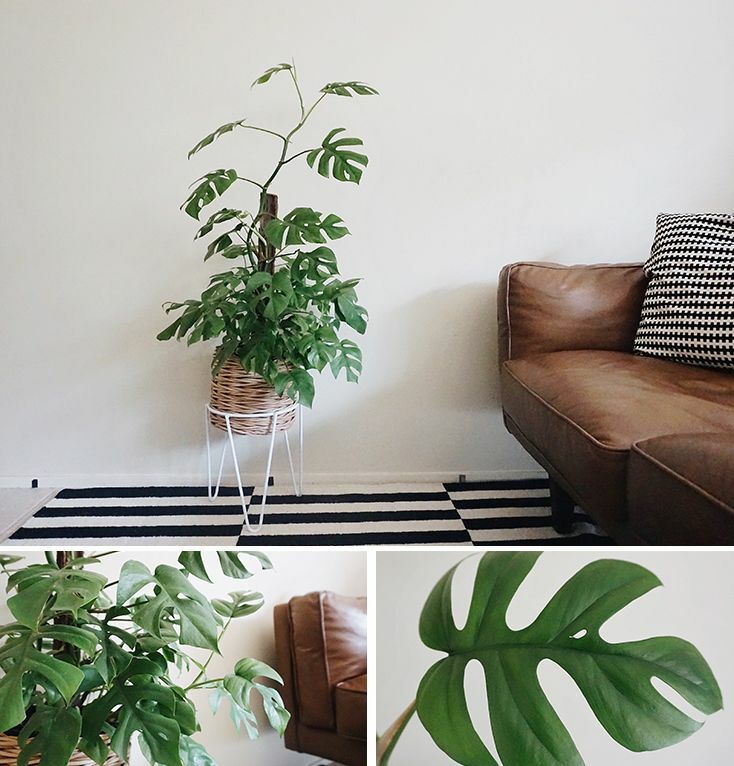 I know that this one is definitely in the Monstera family, but the leaves are significantly smaller. I got this beauty as a Christmas gift from my mum which I picked out from High Swan Dive on King Street. I only water occasionally, but new leaves unravel on the daily, as it winds around the log that's propped in the middle. Every leaf is only about the size of my hand. Another brilliant find from High Swan Dive. This cactus is covered in evenly placed little tufts of fluff. Which look relatively harmless, but are actually clusters of tiny spines. I got some in the back of my knuckle after repotting it, they were stuck in the glove and it somehow got there. They feel very much like splinters and I needed to use tweezers to remove them. So I wouldn't go touching any time soon. I hope you've enjoyed looking at my plant babies! These are only 5 of the indoor ones that I have, there are still another twelve thirteen hanging around! If you have any questions about any of the plants feel free to leave it in the comments and I will try to answer it as best as I can! Do you have any indoor plants or were you planning on getting any? Such pretty plants! Reminds me of my mom, she's really great with plants. I've killed so many supposedly easy plants to take care of (mint and succulents) - I guess plants just aren't for me! Your prickly pear cactus is so adorable. I really, really, really want to start a collection of indoor plants. But I don't think I have a green thumb! What would you suggest would be an easy start out plant? I've also always wanted to make a terrarium they look so cute! Yours are all so gorgeous! Plant Inspiration at its best! I loooove indoor plants!! 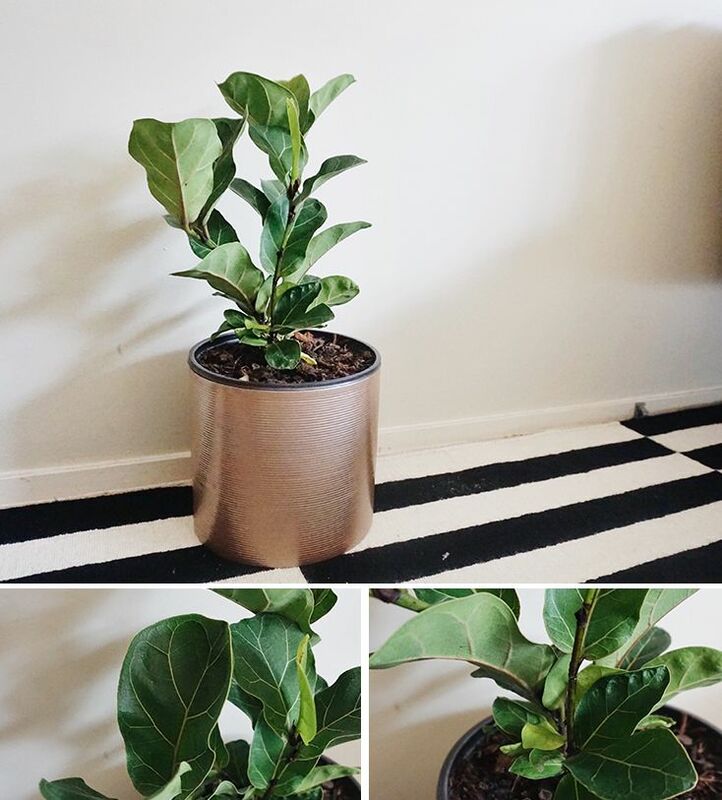 I have a Fiddle Leaf Fig too, but I think mine is just the normal size one, it is about 40cm high at the moment! I (my boyfriend) killed my first one too, he shut the blinds when we went away for a week.. It never recovered... :( but my new one I found randomly at a Woolworths in north western NSW for $13! Bargain of the century! My last one cost $45!! 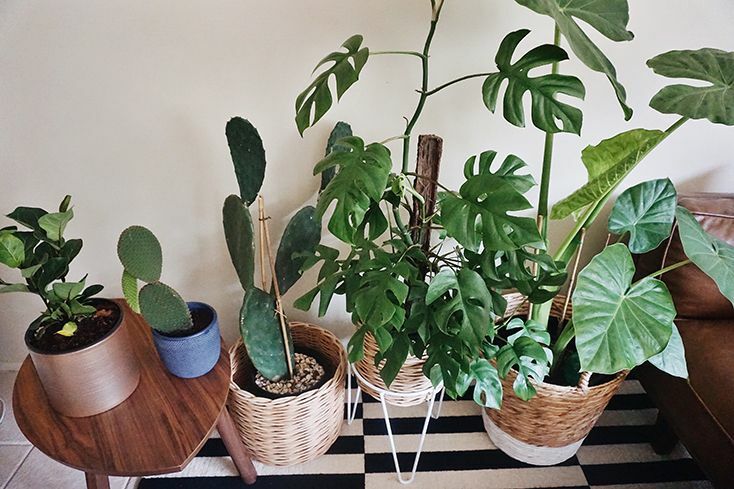 I also love mother-in-laws tongue (Snake Plants) but I want to get some of those Monstera! I love your one!! Woolies! That is such a bargain! I totally killed the snake plant I had! ha. 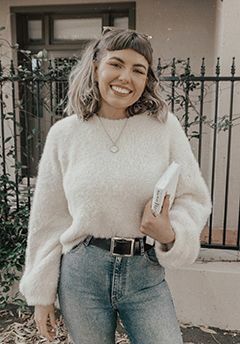 Ooh, these are gorgeous, great post! I love house plants, there's something about a splash of green that makes a room feel much more homely. I have to admit, the only things I can keep alive are cacti and spider plants - my mum is a florist but I have no green thumb at all! So many pretty little plants...although damn, those leaves are BIG. What a great collection! I'm sure if I had plants I would have a few causalities until I learn how to treat them correctly. I think these are all such beautiful plants and definetely something I would put in my home! I love each pot you've put them also, especially the first! Oh my, they're all so pretty - and in really pretty pots/baskets too! The presentation is everything while they're indoor houseplants, amiright? 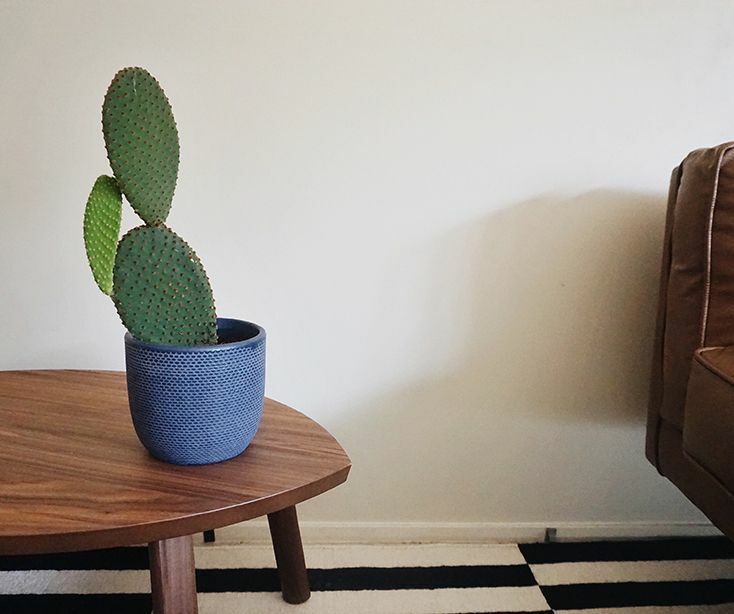 I love both of those cacti! I have such a soft spot for cacti, they're the perfect houseplant companion, and both your bunny & prickly pair ones are so fancy-looking! Ugh, just ugghh. I am going to look for a prickly pear tomorrow, I am feeling totally inspired. Photography is on point. 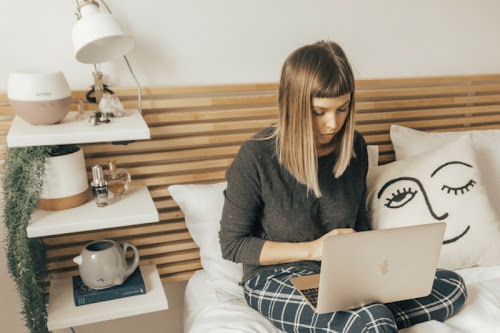 I'm loving your blog. I love indoor plants but I tend to kill them haha I do however have a couple of lucky bamboo in my kitchen that are not hating on me yet! 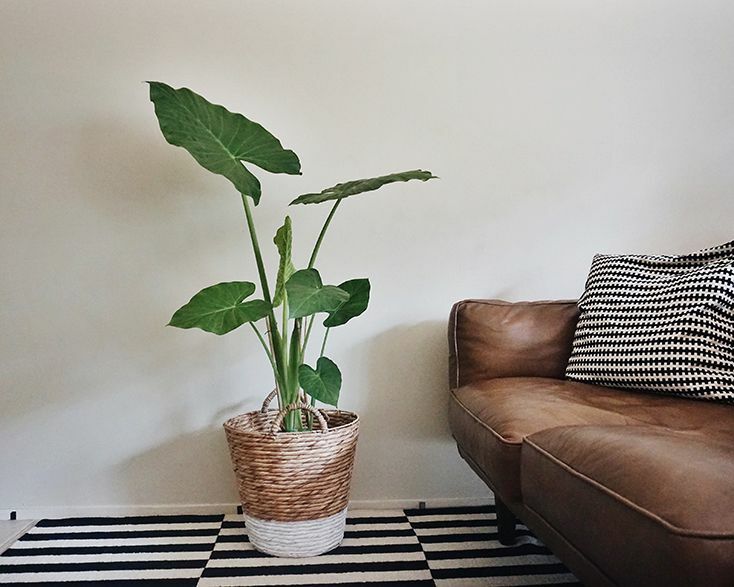 I really love the look of that Elephant Ear plant I think I may have to have a look at getting one of them :) Great Post! My first bunny ear cactus started rotting, so I tried to salvage it by planting the pads that hadn't begun to rot and it seems to be working so far. Yours looks so lovely.